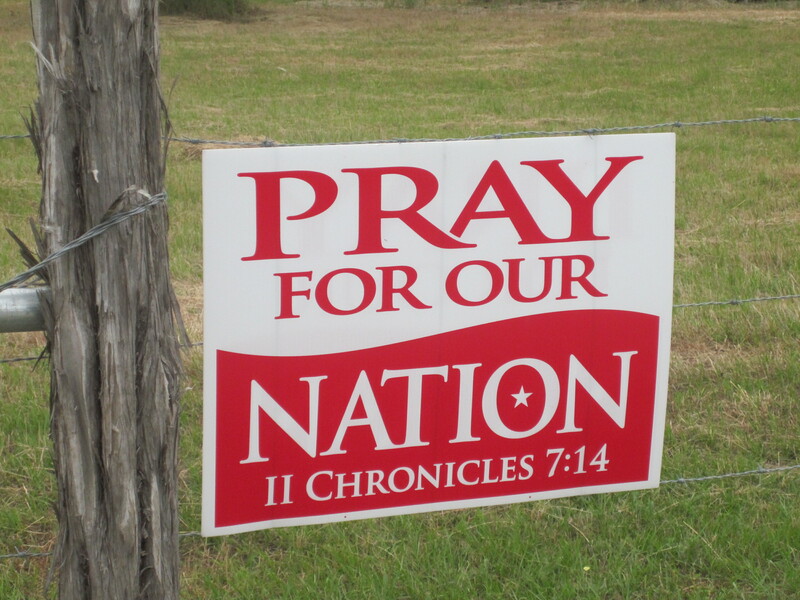 It has always bugged me that 2 Chronicles 7:14 suddenly shows up on Independence Day. Back up a few verses. America’s got nothing to do with it. And those wedding announcements that quote Psalm 34:3? That would be David rejoicing when he escaped Abimelech. And then there’s Jeremiah 29:11, which in case you didn’t know, is directed to exiles and not to high-school graduates. Is it wrong to misunderstand the meaning of a verse and find hope in the misunderstanding? This question was posed online several months ago, and I haven’t quite pushed it out of my mind. Maybe because I face misinterpretation of Scripture on a regular basis. And more often than not, it’s my own. For the sake of this discussion, let’s assume we’re talking about Christians who unknowingly misinterpret Scripture. Whether you think you’re a hermeneutics whiz or whether you’re prone to select a graduation card with Jeremiah 29:11 inside because you believe God has plans to give your grandson a hope and a future, here are some thoughts for your consideration. Truth doesn’t change. There is only one proper interpretation of Scripture, and it’s not going to change. While there may be varieties of application, the Scripture’s intended meaning does not adjust from person to person or with every new trend or line of thinking. If I say a given passage means one thing and you say that same passage means another, one of us is wrong. Which is why I hesitate to say, “The Bible says . . .” unless I’m merely quoting the Bible itself. And which is why I greatly hesitate to tag phrases or verses of Scripture to any given aspect of life as if to say, “This passage aptly fits here.” I’m sorry, but Philippians 1:3 doesn’t belong in every thank-you card. Hope in misinterpreted Scripture is false hope. So to answer the second half of the question . . . Yes, it is wrong to find hope in the misunderstanding. The only hope we have in this life is in God, in what he says, and in what he means. Whether or not we understand it properly, his Word is hope. If we don’t understand it properly, that misunderstanding does not deserve to be accredited to God. So while we think we have hope in a particular interpretation, we may still have nothing more than our sure and steady hope: God, what he says, and what he means. Finite minds fail. To answer the first half of the question . . . Yes, it is wrong to misunderstand the meaning of a verse. And we will. We’re going to get it wrong. Misinterpretation will happen. And often. This doesn’t mean we should give up altogether or resign ourselves to poor study habits. Rather, the failings of our own minds ought to increase our yearnings for the mind of God. God uses misinterpretation for his glory. As with all things, God can use even our unbiblical conclusions and misplaced Scripture quotations for his glory. But the proper response is not fear or indifference. The proper response is to read and study the Word as if our lives depended on it. We must weed out the lies and be content only with the truth. This is our task and our joy until all is made right. For in that day, truth will prevail and misinterpretation will cease. Our hope will no longer by misplaced, because, to those minds once finite, God and his glory will be fully and rightly understood. How I long for that day. It’s kinda complicated sometimes…I certainly don’t have this all figured out. Where do we draw that line? Can we claim Jer. 29:11 for our own lives? If not, why is it there, except so we would know God promised this to somebody? But yeah, good post! This post made me think A LOT. There is so much to learn from the word of God and my desire is that I interpet it in the right way, in a way that is honouring to God! Thanks for sharing! I told her about your article too, and said I think you’d enjoy connecting with her. Oh, and interestingly enough, Dr. Moore just posted an article on the same topic: http://www.russellmoore.com/2016/01/14/2-chronicles-714-isnt-about-american-politics/. What an interesting post and then the comments add more…then additional posts. I have had these same questions in my mind over the years. I know that God is trustworthy and His Word is Truth, the only Truth. Taking verses out of context or misinterpreting them and setting them out there as truth has been a stumbling block for me, especially when I was a new Christian 23 years ago. As I mature in Christ, I am still learning. BUT…the more time I spend with Him, the clearer my eyes are and the less stumbling I do. I am going to head off to those other post to see their angles of all of this. May we read His Truth with eyes open to the Holy Spirit that we may know the Truth and be set free. The blessings that come from walking in His ways are varied and completely dependent upon God. We cannot set a “blessing” ourselves as we are not the Giver in this case. God’s blessings may be financial, but they usually are far more spiritual than a material blessing. We must be careful in all of this. Very thought-provoking. Thanks for sharing! Found you at the #LMMLinkup. When a scripture is difficult to understand – – I find it helpful to read it from several different versions. Bible Hub.com is a good place to find a verse with several versions all on one page. Thank you for sharing with us here at Tell me a Story. Yes, I love reading from multiple versions! Or, even better, study one version and meet up with people using other versions to talk about it and compare notes! I agree, especially the mis-application of Jeremiah 29:11 . That scripture is so much more powerful when read in the context of exile rather than quoting it alone. And I think that is true of most of the well known, beloved scriptures that we quote or write on posters; we should first understand it in context, then when we quote it, we will be more likely to apply it in its full meaning. Oh, I love this!! Thank you!! False hope, wow! That hits me where I live! Jeremiahs 19:11 and 2 Chronicles 7:14 are so widely misinterpreted. Very frustrating. I hadn’t thought about it until I attended a conference with Voddie Baucham and now I think about it anytime I hear those 2 passages “claimed”. Context… context… context! We like to pull one verse out of a passage without looking at the original context.